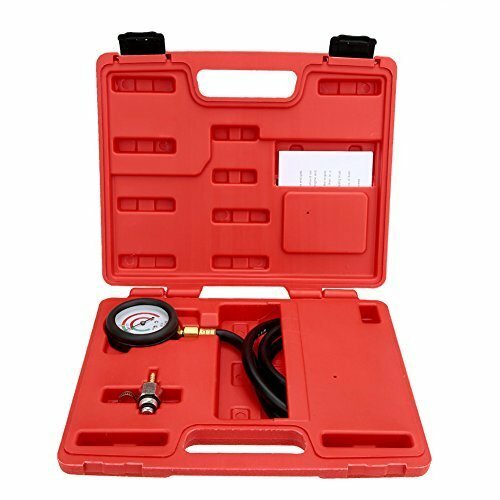 This oil pressure tester kit includes a gauge, hose, clamp and adapter. It enables technician to test exhaust back pressure through oxygen sensor adapter. Heavy duty gauge with protective rubber housing. 2.5'' diameter gauge with dual colored scale. Pressure readings in psi and bar. Oxygen sensor adapter includes M12 & M18 threads. Blow moulded carrying case for easy transportation and storage.